The Castle Creations 4mm Polarized Bullet Connector Set is a high current, polarized connector system developed specifically for high demand electric RC applications. 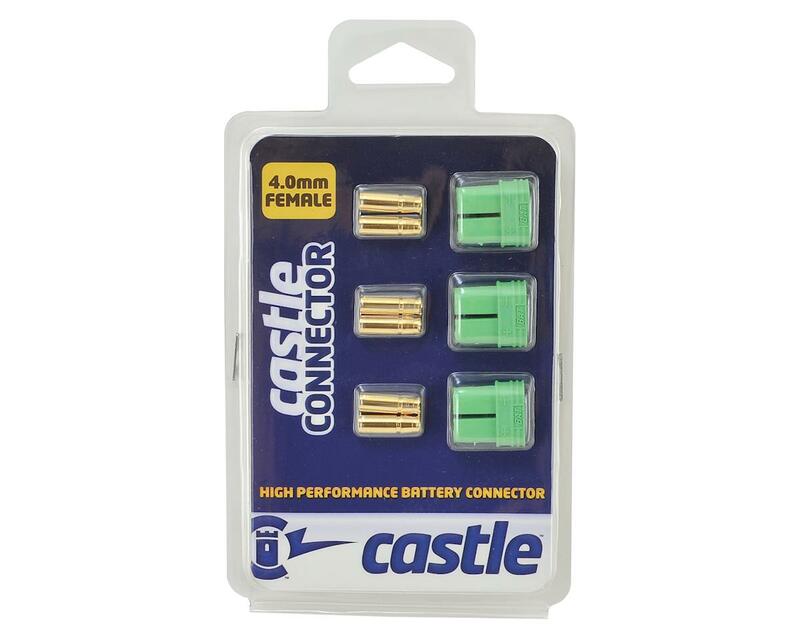 The Castle system combines the low resistance qualities of a bullet connector, with the convenience of a molded plastic plug that eliminates the risk of reversing the polarity and blowing up your system! These are ideal for batteries, ESCs, charger leads, parallel and series harnesses, high current amp/watt meters, and anything else that needs extremely high current - regardless of the brand. 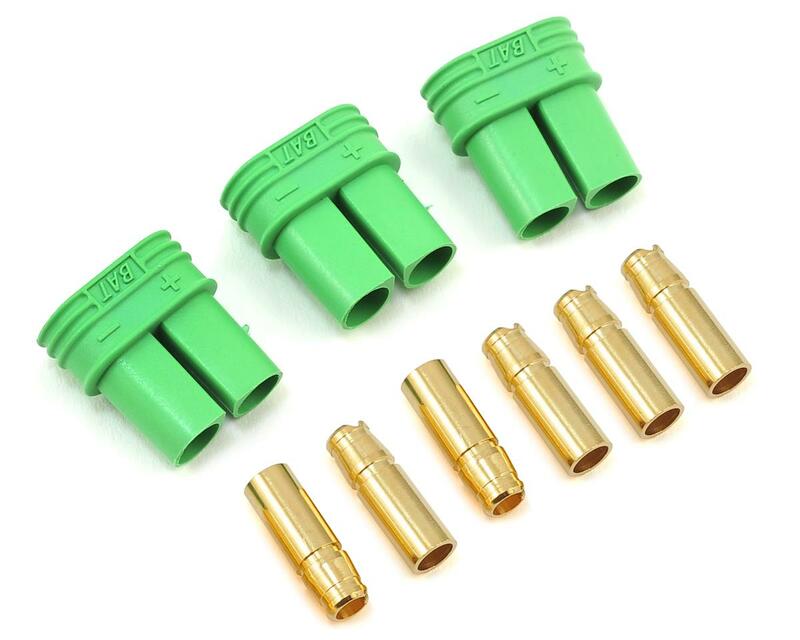 This package includes six female bullet connectors, and three plastic connector housings. Includes the parts needed to build three female connectors.